QSFP + four-channel SFP interface (QSFP), QSFP is designed to meet the market demand for higher-density high-speed pluggable solution was born. This 4-channel pluggable interface transfer rate of 40Gbps. Many mature technologies in XFP are applied to the design. Four small volumes of pluggable QSFP + solutions are designed for high density applications. The system components include electromagnetic interference (EMI) shielding, active cable (AOC), QSFP+ passive copper cable assemblies, active copper cable assemblies, optical MTP cable assemblies, optical loopback, host connectors, connectors and cage stacks. SFF-8436 document specifies a radio transceiver mechanical form factor with latching mechanism, host-board electrical-edge connector and interface. The hot-swappable transceiver integrates 4 transmit and receive channels 4. Molex's QSFP + transceiver can replace 4 standard SFP + transceivers. The result is greater port density and overall system cost savings than traditional SFP + products. The QSFP + cable assemblies are designed to provide stacked connectors that are configured at extremely high density requirements. QSFP+ This system will support 10 G Ethernet, Fiber Channel, InfiniBand *, SAS and SONET / SDH standards using different data rate options. Including InfiniBand * Separate Data Rate (SDR), Dual Data Rate (DDR) and Quad Data Rate (Report), Ethernet System (10 to 40 gbp s), Fiber Channel (8,10 gbp s), SAS (12 gbp S). 40G QSFP + optical module in line with SCSI, 40G Ethernet, 20G / 40G Infiniband and other standards, it has four data transmission channels, each channel transmission rate of about 10Gbps, four channels at the same time transmission can achieve 40Gbps transfer rate. 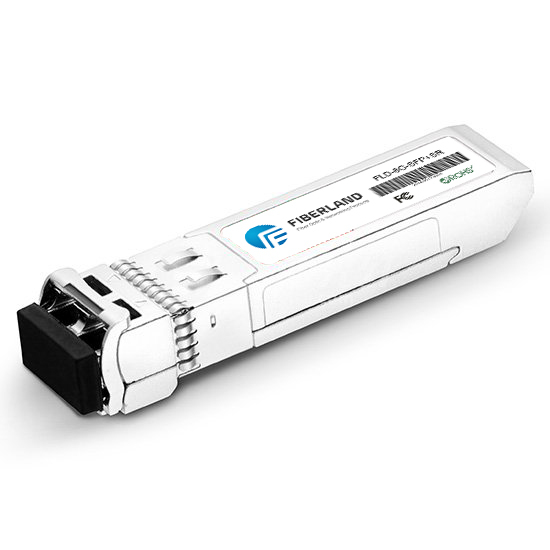 QSFP+ This optical module has two main interfaces: LC and MTP / MPO (as shown below), used in single-mode applications and multi-mode applications. There are several types of QSFP + optical modules, including 40GBASE-SR4, 40GBASE-LR4, 40GBASE-ER4, etc. This section will detail these three optical modules and their applications. 40GBASE-SR4 optical module using MTP / MPO interface, the working wavelength is 850nm, generally used in multi-mode applications. It is used with OM3 / OM4 multimode fiber to transmit distances of 100 m and 150 m, respectively, primarily for connection between network devices in the data center. 40GBASE-SR4 optical module can not only use MTP / MPO fiber jumpers to achieve the connection between two 40G network equipment, and can be used with MTP / MPO LC fiber jumpers to achieve 40G network equipment and 10G network equipment connection. 40GBASE-LR4 and 40GBASE-ER4 optical modules using duplex LC interface, generally used in single-mode applications. These two optical modules have four independent optical signal reception and transmission channels, the need to use WDM technology to multiplex and demultiplex the optical signal, QSFP+ in order to achieve optical signal in the long-distance single-mode fiber transmission. 40GBASE-LR4 optical module transmission distance can reach 10 km, while the 40GBASE-ER4 optical module transmission distance is longer.